The correct device should be "\\.\eppwdm0". Please check this registry key. If the slot is not “0000” (e.g. 0003), you have to change this value in the registry file!! With a double-click on the registry file the contents is added to the registry. 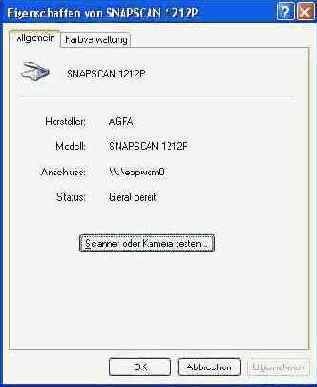 Select in the device manager (control panel->system->hardware) under imaging devices the Agfa scanner. In the context menu select “Update driver”. Now the computer has to be restarted to change the configuration!! ScanWise 1.4.0.1 should now scan images from the scanner. If you have communication problems in the preview you can try the preview again and again.